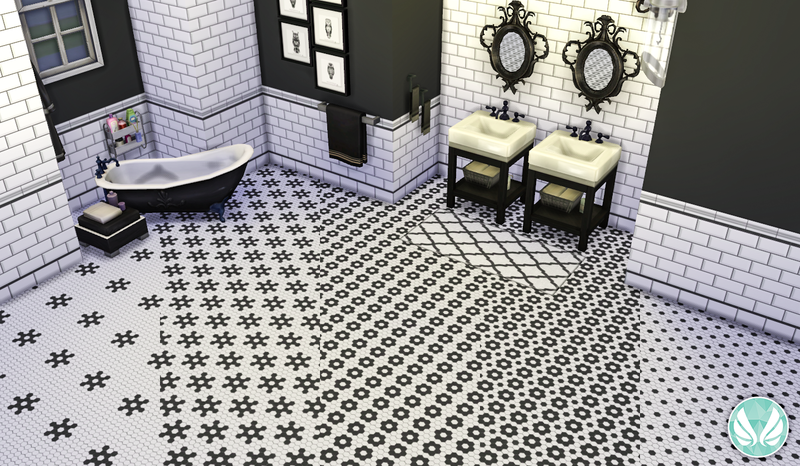 My first flooring! It has taken long enough. 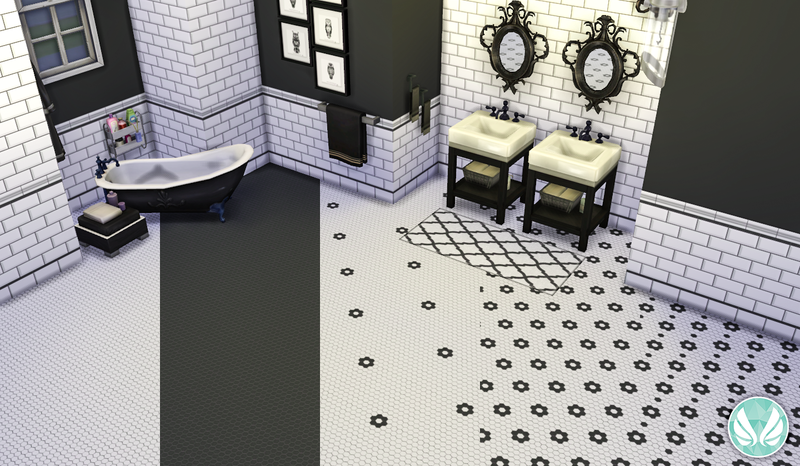 I really love hexagon floor tiles, they are just a classic design when they are in a black and white combo. 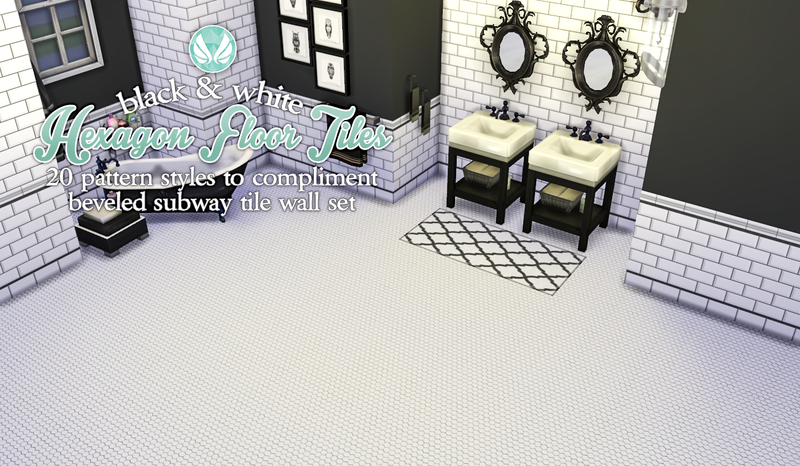 When I was making the Subway Tile set (find it here), I wanted a matching flooring, so i came up with these. I think they turned out brilliantly. I did use a 512x512px image, which I think is larger then EA's default size (or perhaps not), so I am not sure if it will have the same issue as unscaled wall sizes. If so, let me know. They work fine in my game and I have an average computer. The archive contains the package file and preview image. Extract the archive and place the package file in your mods folder and look for them in your game. I hope you enjoy.